How does Stun Phaser work? Stun Phaser is an LED based deterrent device designed to induce aversion responses such as blinking, blocking, and other actions to remove oneself from the light source. The red and blue lights pulse at two overlapping frequencies, 12-15 Hz and 50-60 Hz, causing over stimulation in the sensory processing system. The human brain has a limited capacity by which it can receive and process visual information. Overloading the sensory processing system causes disorientation and induces automatic aversion responses. The effect of the discomfort fades a few minutes after removal from the strobe light source. Staring into high intensity light bleaches photoreceptors in the retina, causing black spots in the field of vision. Stun Phasers are safely categorized under either Risk Group 1 or 2 under EN62471. Photosensitive epilepsy is a type of epilepsy where almost all seizures are triggered by flashing or flickering lights. Around three in every 100 people with epilepsy have photosensitive epilepsy. It usually begins before the age of 20, most commonly between the ages of seven and 19. Photosensitive epilepsy affects more girls than boys. Most people with photosensitive epilepsy are sensitive to 16-25 Hz (frequency of flashes/flickers in a second). Some people may be sensitive to rates as low as 3 Hz and as high as 60 Hz. Can the Stun Phaser trigger photosensitive epilepsy? The Stun Phaser’s overlapping pulse frequencies are 12-15 Hz and 50-60 Hz, potentially placing it in the triggering range for photosensitive epilepsy. It is important to remember that Stun Phaser is intended to trigger aversion responses. Behaviors that remove a person from the stimuli will reduce the risk of over stimulation. Please consult medical professionals on how to manage a possible epileptic situation. 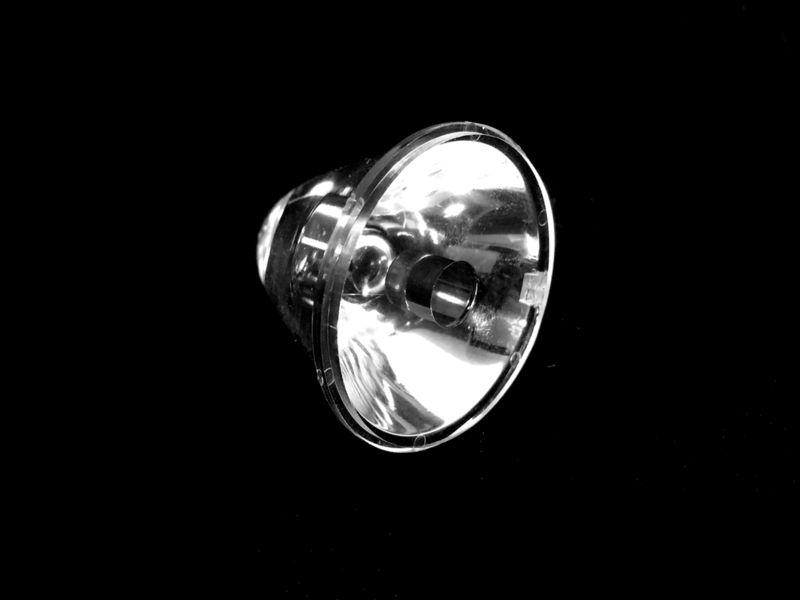 A TIR Optic or TIR len relies on Total Internal Reflection of light within a medium to control the direction of light rather than reflecting off a reflector cone. With a TIR Optic, the LED is embedded within the optic enhancing the ability to mold the beam into a desired shape. For a reflector, it only provides the opportunity to redirect light that is reflected off it. Lumens (lm) and Candela (cd) are both measures of light output. They measure the Luminous Flux and Candlepower of a light source respectively similar to how a Yard/Meter is a measure of Distance. While some manufacturers claim that Lumens is the only real measure to compare light output, Candela provides important information on the characteristics of light output too. Lumens is a measure of the total light output while Candela is a measure of light intensity. Comparing room lighting to a laser, room lighting will have good lumens but you will be able to look at the light source directly (though not advised). For a laser, it will have good candela but it will not light up a room. However, you will not be able to look at the laser beam straight on (definitely not advised). Both measurements provide important characteristics of a light source and depending on its intended usage, either Lumens or Candela can be more relevant. If a light source is meant to light up a broad area, Lumens would be the best means of comparison. However, if the light source needs to be concentrated and focused on a target and not stray and give away the location of its source, Candela would be the ideal means of comparison. What is type of batteries are used in the X-20 Personal, X-13 Professional and X-114 Professional? Can I carry Stun Phasers on board a commercial aircraft? As a reference and as of Jan 12, 2016, US FAA regulations allow for in equipment Li-Ion batteries not excessive of 100 watt hours per battery. The Samsung ICR18650-26F and Panasonic NCR-18650PF are rated less than 10 Wh each. Please check with your individual carrier for their instructions. Restrictions may vary depending on destination.